So after 6 weeks in Brisbane it seems like it is time for my second general update on what is going on and why I still seem to have no free time, even though I am unemployed. If you have suggestions on what I should be doing let me know, otherwise I’ll just keep enjoying the life of a leisure! I thought that since I have to give at the moment I should give it. In my last update I talked about how I had been helping out with the National Parks Association of Queesland, and I am still doing a little bit here and there. Last week I started a new volunteer role with MS Queensland helping to get all the rider packs ready for their upcoming Brissie to the Bay charity ride. This ride is Queensland’s biggest charity bike ride with up to 5000 people partaking. The scary thing is that all of the ride packs for the event are packed by hand which takes up the staff’s time when there aren’t enough volunteers to help. For anyone who has ever take part in a charity bike ride, or any other charity activity I’d really like you to spare a thought for all the people who make these events happen. 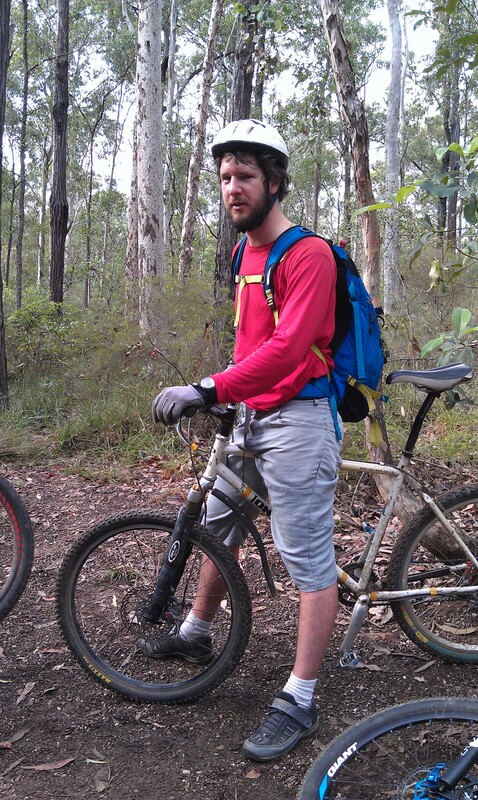 I’ve finally started getting out on my mountain bike in the past few weeks. 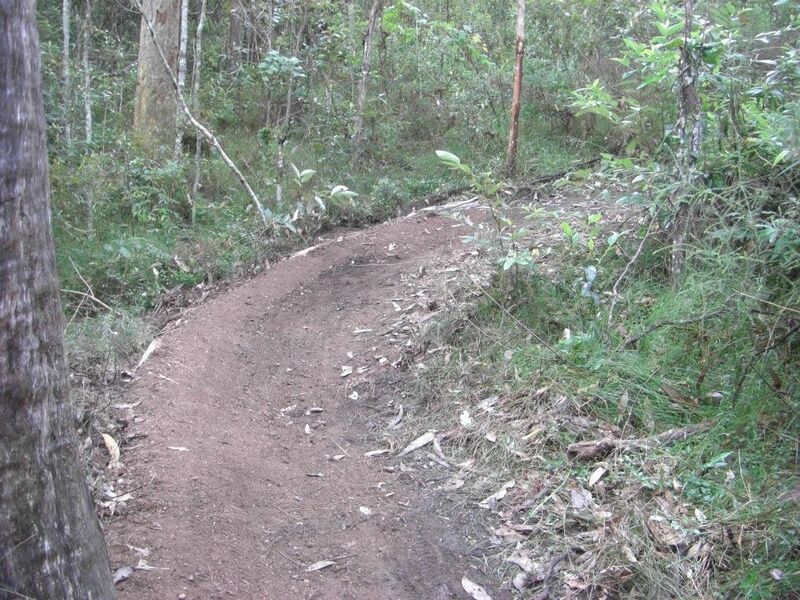 I’ve been riding with the people from the Gap Creek Trail Association a few times and have spent a bit more time helping to build trails, including a fairly sweet little berm and switchback section at Gap Creek. One of the berms I helped build at Gap Creek mountain bike park. 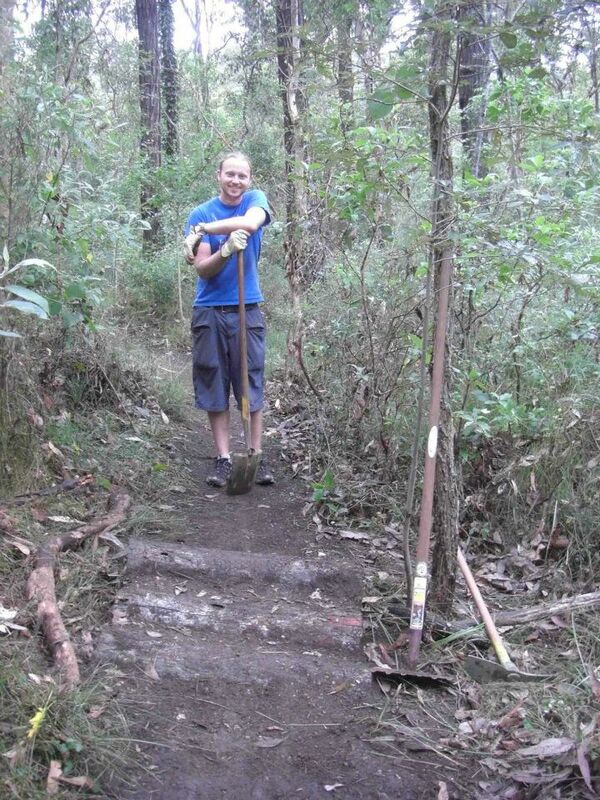 The trail at Gap Creek is full of cool little dips and log steps like this one we’d just finished. 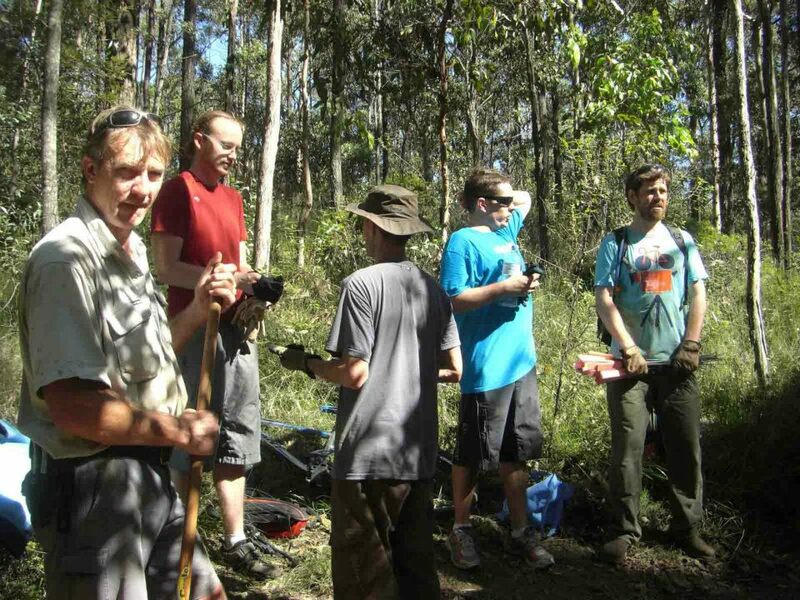 Some of the trail building team at Gap Creek. I got to christen the newly finished track. I also go to be the first to stack and rip a hole in the track! 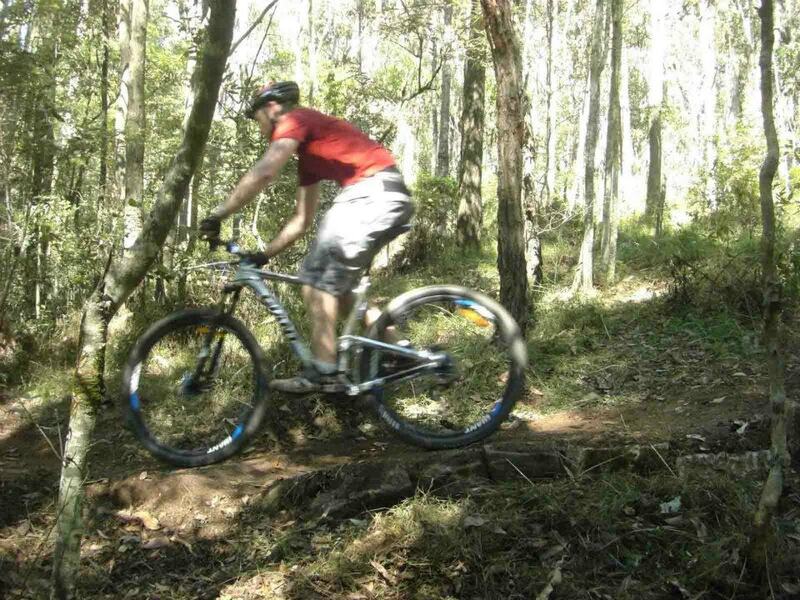 I’ve also been out riding with Dan for the Paddy Pallin days at Bunyaville which is full of fun little tracks and switch backs that aren’t to challenging which is nice for a gumby like me. Dan at Bunyaville. If you ever want to see a home made bike this might just be the best example! Did you know that when you don’t have a job there are a lot more hours in the day. I would suggest that since getting to Brisbane I have discovered an extra 4 hours that never used to exist. When it is to wet to ride and I don’t feel like reading, applying for jobs or cooking I tend to fill my time by going on walks that have no really goal. In recent weeks I have been for several walks that have made it into the realms of 2-3hours, and each time it has been when I had no intention of doing anything other than walking down to the shops. Mostly they’ve ended up with an even greater regard for the Brisbane public transport when I end up on a bus or train with no cash and can use my go-card to get home! So the next goal I have is to find more ways to entertain myself until I get a job. Having done a little bit of everything I’d tried before moving to Queensland I am looking for suggestions on what I should do next. Please add a comment to this article with what I should try, and what you’d like to read about!